Every generation has positive and negatives aspects during the growing up process that are unique to that time. As you age, we tend to glorify what we believe to be these better aspects to, for some unknown reason, show a generational superiority. Oddly enough, we do the same with the bad aspects of our time growing, as though it gives us both an excuse for our shortcomings and a way to say that we are battle-hardened and tougher than the current generation as a result of having gone through that time. You now the routine: I had to fight off a grizzly bear every morning in order to walk two miles uphill through waist-deep snow just get on the school bus– all without breakfast. Or shoes. But thinking about the our plague of school shootings makes me think I how fortunate I was to have gone to school every day without worrying that someone was going to walk in and start shooting. There was already enough stress in going to school without that threat of mortal danger hanging over your head. I can’t even imagine how I would have felt if that had been happening when I went to school. Fortunately, we didn’t have those kind of events at that time but we did have terrible things happen. And even though they didn’t reach the level of these tragedies, they still left a mark. I went to a small rural grade school. I can’t remember if I was in fourth or fifth grade but one weekday afternoon a girl one grade below me came up missing. A search began and they found her body in a dump site on a creek not far from the school. Soon after they charged a disturbed high school boy with her murder. I remember that weekend when that happened so clearly. The world changed drastically for me and, I am sure, for many other kids in my school. It that short time school and the rest of world suddenly seemed like a much more dangerous and dark place. There was now a gray sadness I had never known. We lived in an isolated old farmhouse and at that time I was sleeping upstairs by myself. At night, I would often turn on my little portable radio to drown out some of the creaks and groans that the old place made, noises that would make the younger me think that Dracula or the Wolf Man were just outside the door–Frankenstein or the Mummy never bothered me because I figured I could outrun those guys. But on Sunday nights the only broadcasts I could get at that time of night were religious programs. They always had a feeling of hellfire and damnation which always bummed me out a bit even at the end of a good weekend. I remember how awful I felt that particular Sunday night in my bed in the dark when Billy Graham’s Hour of Decision came on. His voice and words gave no comfort at all. In fact, it made me feel even more fearful, alone and sad. I still can hear the train whistle that came across the fields from the tracks that ran along the river which was about a half mile away. It added a cold and mournful tone to that moment that still lingers with me. As I said, I can’t imagine how I would feel if I were a kid today. But based on that moment almost fifty years ago, it would not be good. Kids should not have to worry about such things. Here’s my choice for this week’s Sunday morning music. 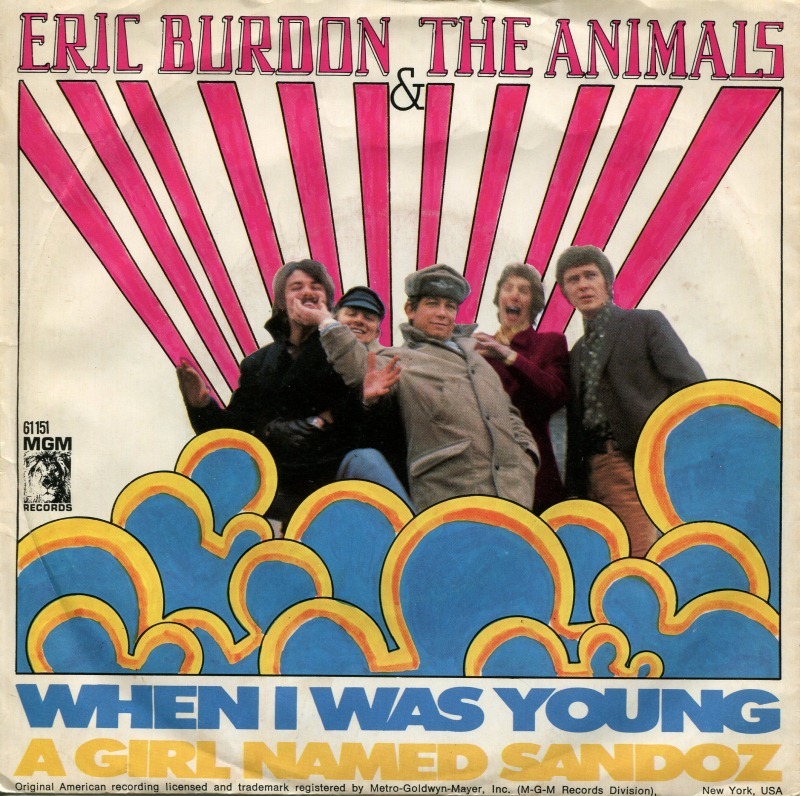 It is fittingly titled When I Was Young from one of my favorite bands from the 60’s, Eric Burdon and The Animals. Try to have a good Sunday.